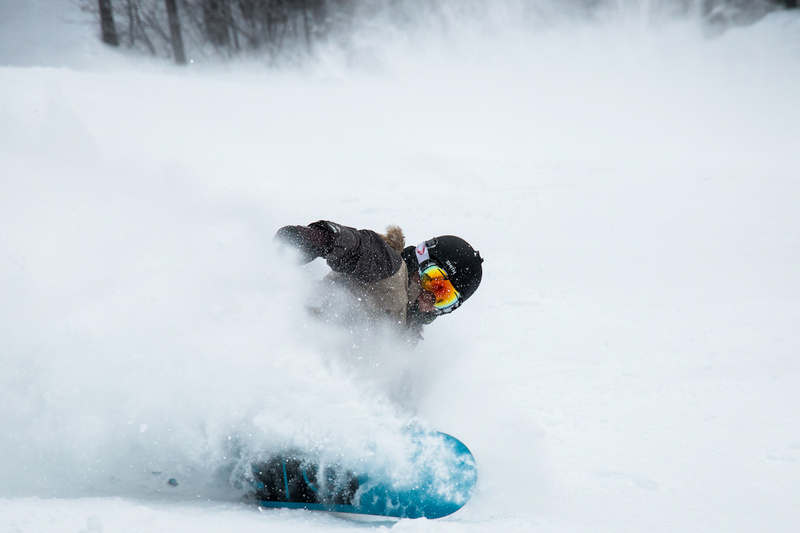 If you’re reading this, you’re likely in Iowa and experiencing the ebbs and flows of winter. My husband, Zach, and I thought it would be best to leave any cold NYE options behind and seek a warmer place. 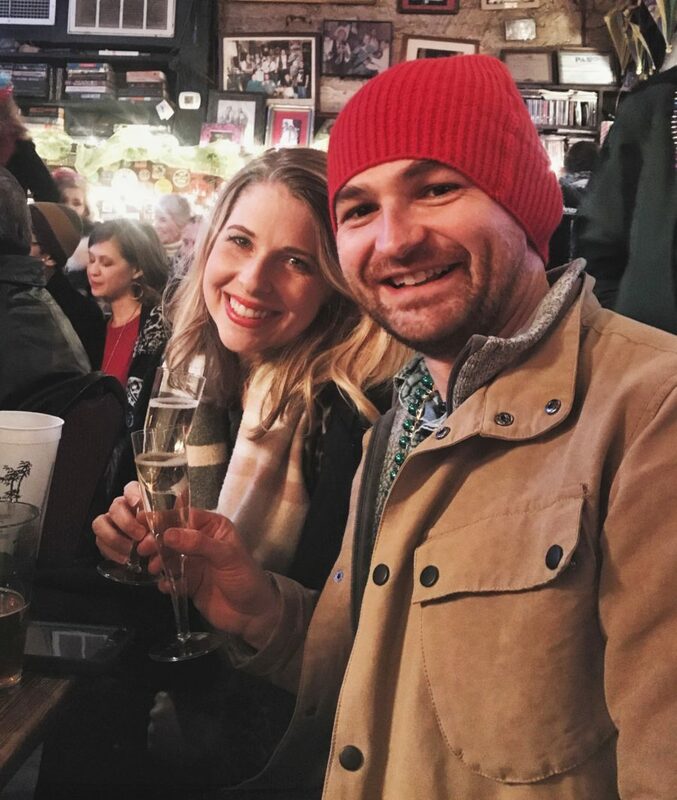 New Orleans had been on both of our bucket lists for a while, and we figured some jazz bar for NYE would be the perfect way to welcome 2018. While we didn’t get much of the warmth we had expected when we booked (and packed!) 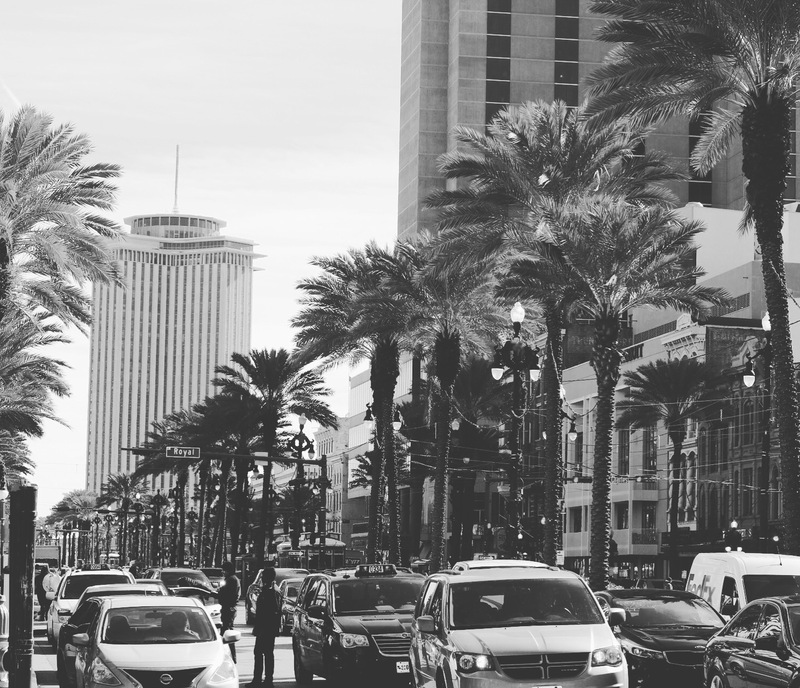 we think The Big Easy may be the most unique city in America, a blending of French, West African, Spanish and American styles. Since Zach books vacations through Big Map Travel, he was quick to put an itinerary together and ensure we could squeeze in a NBA game. We woke up our first day in NOLA and took our own mini adventure around the city. Eventually, we landed at the WWII Museum, which was an incredible experience. Do not skip out on this! You could spend hours there if you wanted to. From urban gardens to breweries, we walked for miles in the city to see and taste as much as possible. That night we went to the Smoothie Center to see the New Orleans Pelicans play the Dallas Mavericks. 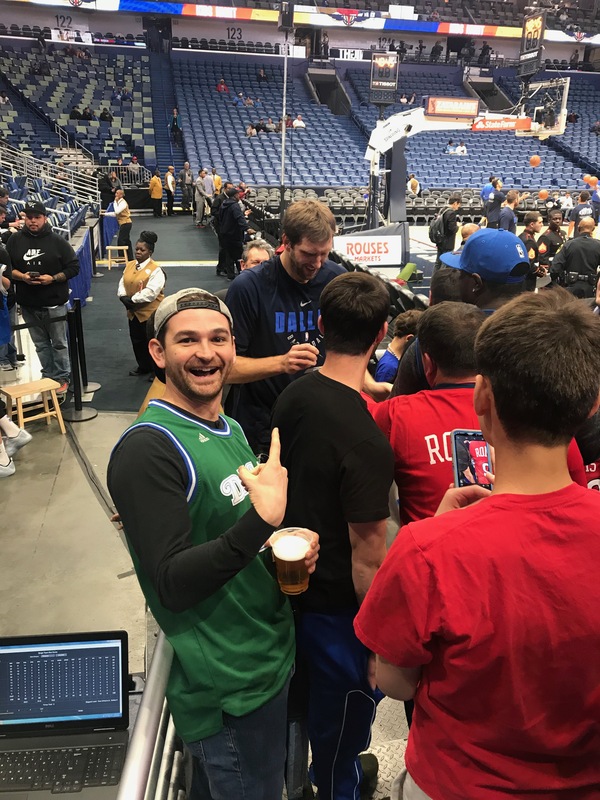 Zach has been a fan of the team through the heartbreak of the 2006 Finals and the 2007 playoff collapse through their improbably 2011 NBA championship run so it was a great thrill to see Dirk Nowitzki play in person for the first time. If you’re a sports fan, make sure to hit up a Pelicans or Saints game while you’re there over NYE! Speaking of tasting… one of my absolute favorite ways to travel is to do a food tour. We got so many recommendations, it was hard to sort through them all and food tours allow you to meet new people, while eating smaller portions of food. We chose to use Tastebud Tours and ate everything from PoBoys to Pralines. These tours also have guides that are knowledgeable about the city and history, which makes for really enjoyable and education walks! 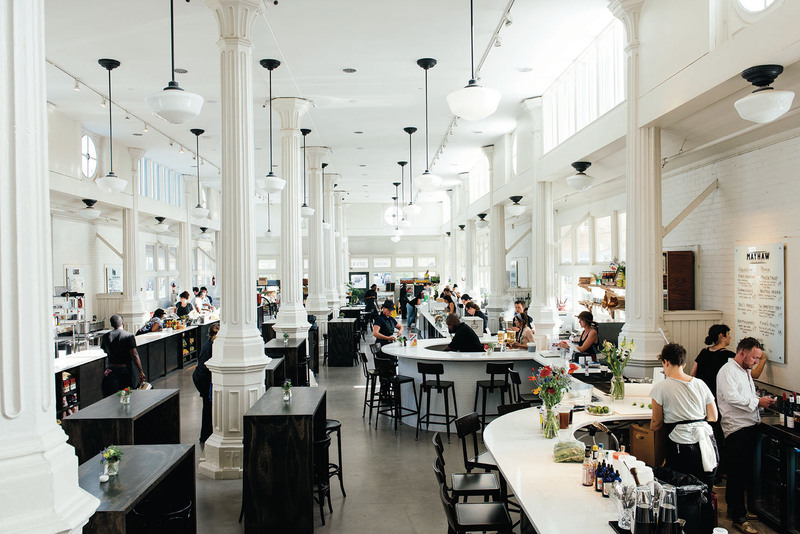 One of our go-to spots during our stay was St. Roch Market. It might even be a little pathetic how often we went there, but here me out, they have at least 12 vendors with all southern food (and a pretty stellar cocktail bar where we met a new friend). From coffee to a large pile of ceviche, we couldn’t stop going back! Since we opted out of the walking tour, we snagged a couple spots on a bike tour! We loved our tour guide and even though it was 30 degrees and quite windy, we made the most of it. Bike Tours are great because of how much ground you cover with an expert leading you down some of the best streets in the city. It’s a blast to explore on your own but sometimes in a city with the history of New Orleans you can walk by really important spots without even knowing it. Our final night in the city was NYE, so decided to live large and go to the French Quarter to join in on the fun (in hopes there would be beads thrown, and there were!). We weren’t entirely sure where we would end up, but we hoped there would be some places with room for us to listen to jazz without needing to buy tickets ahead of time. Lucky us! We found Fritzel’s Jazz Bar and snuggled in with dozens of others. We had originally planned to jump in for a short time to warm up before braving the chilly temps again but we slowly eased our way to the front with a table + chairs and cozied in for the next four hours. It was a blast! The musicians put on a quite a performance and needless to say, we’ve continued listening to them (and jazz) for weeks to come. If you have a chance to go to NOLA, GO! A trip during NYE was a blast if you enjoy hitting the town and don’t mind if the temps dip a bit. The history, food, music, and architecture were inspiring to both of us and enriched our lives significantly. We never got beignets from Cafe Du Mond, didn’t get a drink at Lafitte’s Blacksmith Shop, and missed the fireworks over theMississpi to ring in the New Year. I guess that just gives us reason to keep going back!